Today at Western Health, four young Indigenous women celebrated completing their WPC Group school-based Business Traineeships. Over the past year, Phoebe Amedovski, Allira McAuley-Dryden, Riah Morgan and Lucy Vicendese have worked towards gaining a Certificate III in Business while also completing their secondary school studies. The young women did work placement with Western Health for one day per week, across a range of departments, including the Aboriginal Health Unit, People and Culture, Education and Volunteers teams. This on-job training allowed them to gain exposure to a real workplace environment, and enabled them to apply their newfound business knowledge directly to their daily tasks. At the graduation ceremony today, Riah spoke about her experience and thanked WPC Group and Western Health for providing them all with the opportunity. 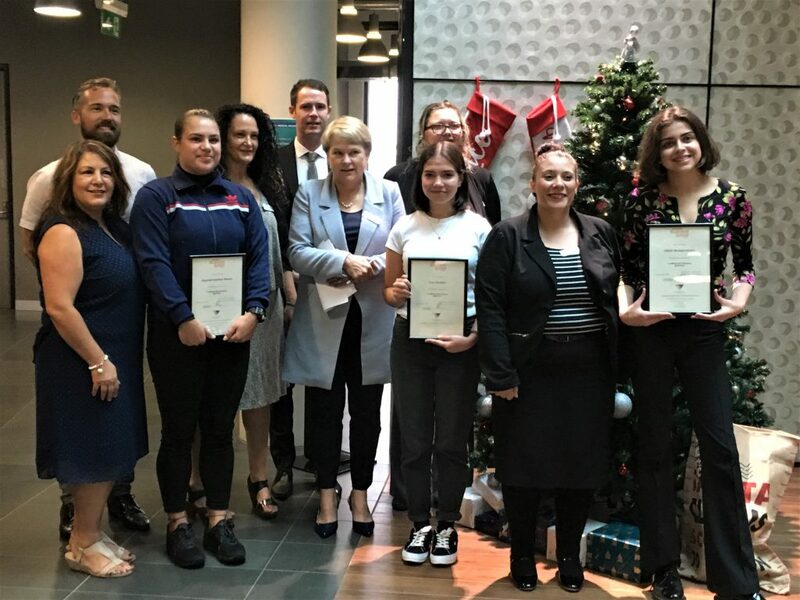 WPC Group’s partnership with Western Health aims to develop young Indigenous people’s workplace skills, knowledge, and confidence while providing them opportunities to explore future career pathways within the health industry.